CITY of Plymouth athlete Sammie Harris set a new personal best on her way to a top five finish in the under-17 long jump event at the English Indoor Athletics Championships. Harris leaped an impressive 5.71m at the age group event in Sheffield, which was 26cm further than her previous best mark. The multi-eventer was just two centimetres off winning a medal in a close competition, which was won by Charnwood’s Molly Palmer. The top five athletes in Sheffield all currently fill the top five spots in the early UK rankings. Harris also moved up to 12th in the UK under-17 girls’ 60m hurdles rankings. In her first run over the distance, she clocked 8.85 seconds in the heats, despite badly hitting hurdle three. She did book her place in the semi-finals but had to pull out of the competition with a calf injury. 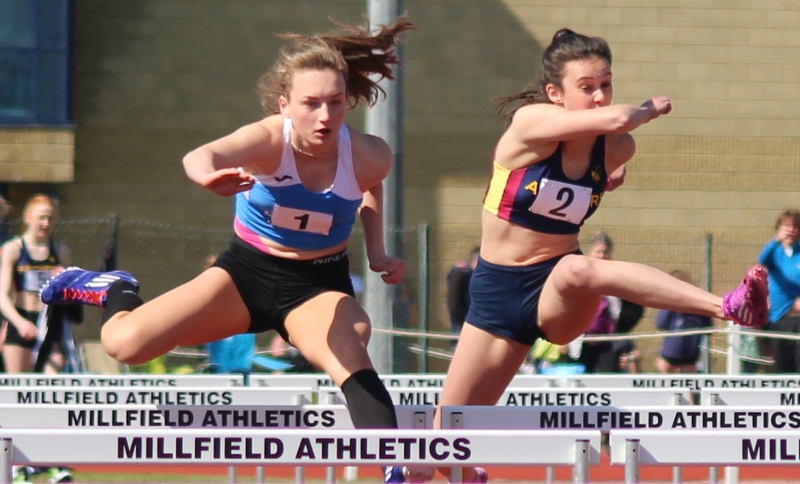 Her club colleague Emily Bee remains ranked in the top three for the 60m hurdles, even though she did not compete in Sheffield. Another City of Plymouth athlete, Noah Jones, did travel to South Yorkshire. He came ninth in the under-15 boys’ pole vault with a leap of 2.81cm, which was just one centimetre of his PB. Erme Valley Harriers’ Nathan Brown ran in the heats of under-20 men’s 800m, where he clocked 1:59.24 minutes.